This beautiful scandi rustic home belongs to Lucinda Mitra and her family, otherwise known as @nest_twenty_eight. Lucinda starting blogging when she left full time work, mostly to showcase her home renovations and she has shared them with me today. You can read her blog here. I'm Lucinda, and I live with my husband James and our 2 year old daughter Sienna in East Sussex. This is our first home and we moved here from London in 2015. 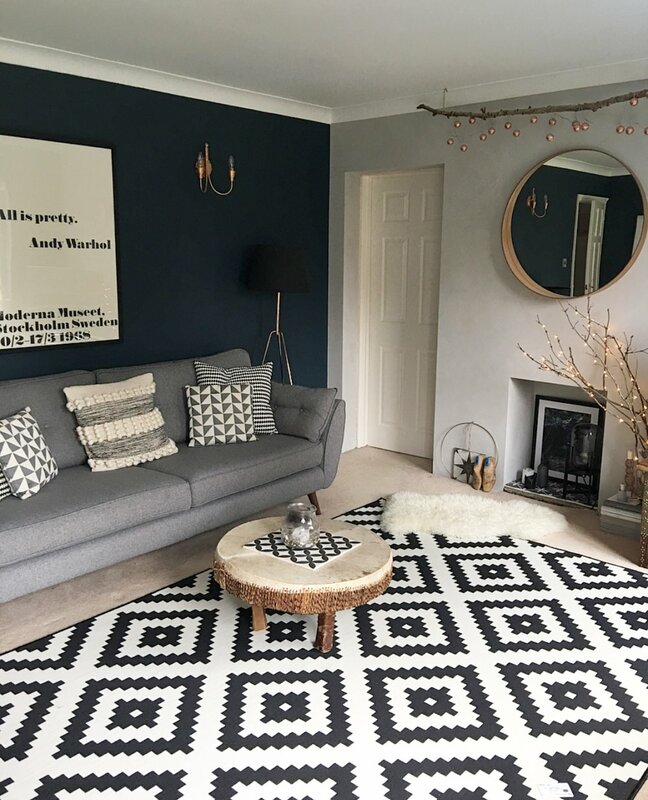 I started my blog and Instagram feed, to document the changes I was making to the house, more to show family and friends what I'd been getting up to. It wasn't until I left my job as a Secondary School English teacher, when I found out I was pregnant and then was able to focus on blogging full time, and decided to do see where it would take me- which has been such an exciting journey in itself! My inspirations are really varied, I wish I was one of those people that can commit to one particular style, but I can't seem to do it!! 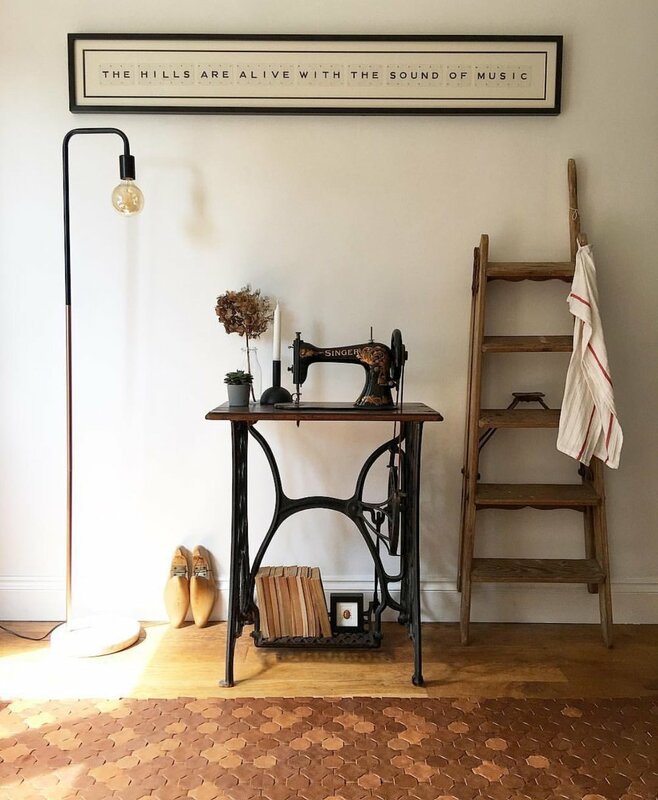 I really love Scandi, rustic décor and I have some influences from East Africa, where my parents were both born, so I have an eclectic mix of modern and vintage pieces scattered around my home. I love moody, dark tones, which are apparent in my living room and kitchen (I upcycled the units myself in Farrow and Ball's Railings), but I also love white walls and colour pops, which I embrace in my bedrooms. 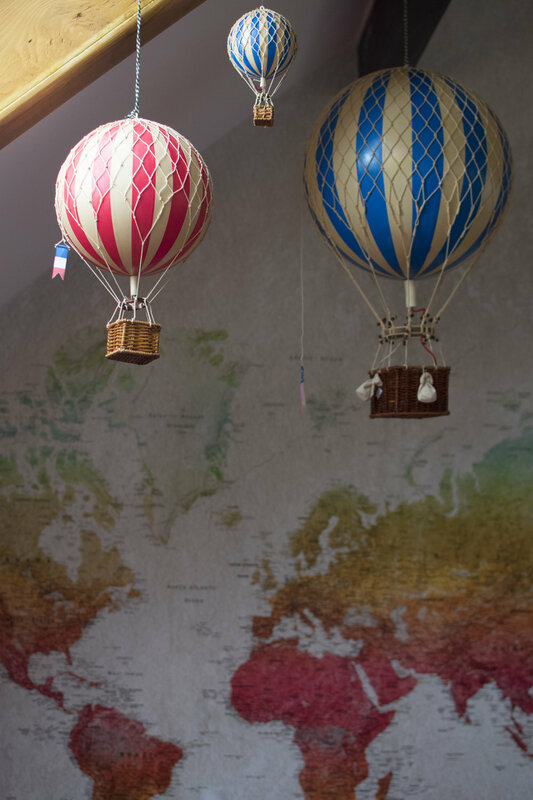 I think anyone who loves interiors, will always say they're never finished with decorating, and I definitely feel the same – but it's nice to see the journey I'm on in our home. I hope you agree that Lucinda has done a stunning job of renovating her family home.